We can make any of our products to your individual requirements with our bespoke design service. Call us now on 01706 341 122 or complete our form below to enquire about pricing & delivery. The Ossa display unit is one of the most majestic pieces of Glasslab furniture, standing tall at 1590mm. The unit is available as either a single or double display unit, with the double offering eight compartments to display or store items, as well as space on top for further use. 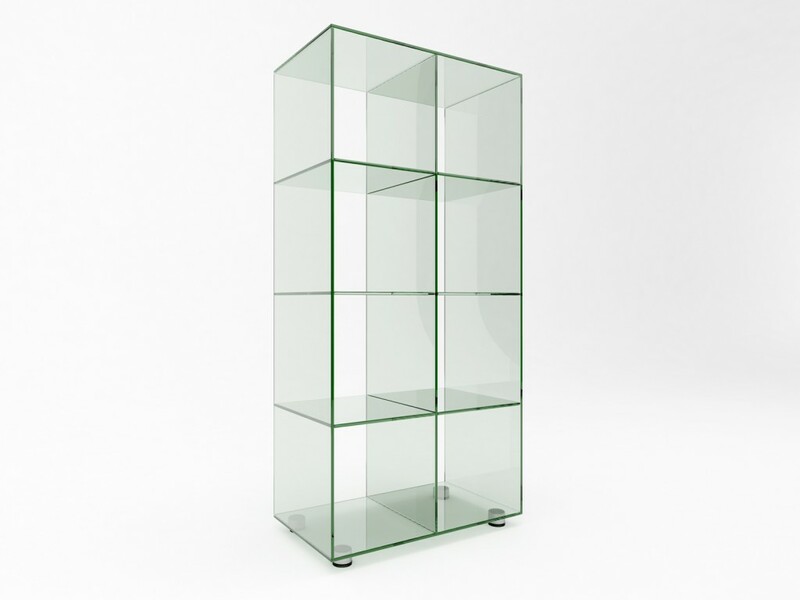 The double unit is 800mm x 440mm x 1590mm and is made with 10mm clear toughened glass. It’s a simple, yet stunning design that would have a welcome spot in any office or reception area. Need it in a different size to the one we offer? No problem. As with all of our products, we can make the furniture to match your needs, as part of our bespoke design service. You can find out more here.